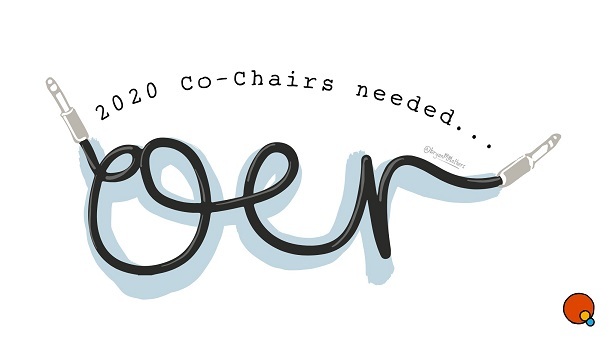 We are seeking experienced Co-Chairs for the 2020 Conference Committee of the 11th Open Education Conference, who will play a major role in planning and delivery of the conference in 2020. For information about previous OER conferences please visit https://oer19.oerconf.org/ . The conference format evolves each year to keep pace with the changing expectations and priorities of participants and speakers, but its core values around Open Education remain strong. enthusiasm for and/or experience of working with the Open Education community and ALT and a Member of ALT. Find out what the role involves in more detail by reading Chairing ALT Conferences, which includes further details as well as feedback from previous Co-Chairs and is licensed CC-BY. To express an interest, please send an email to Maren Deepwell [email protected], organised under the 4 headings above, to arrive by 15 February 2019. Expressions of interest from pairs of people interested in co-chairing with each other can be submitted as a single email. As an informal guideline, please limit your expression of interest to no more than 500 words in total. We would prefer to appoint someone who has not previously chaired or co-chaired the conference. Proposals will be reviewed by the current OER19 Chairs on behalf of the Conference Committee, together with SIG officers of the Open Education SIG and make recommendations to ALT Trustees who will have final approval.